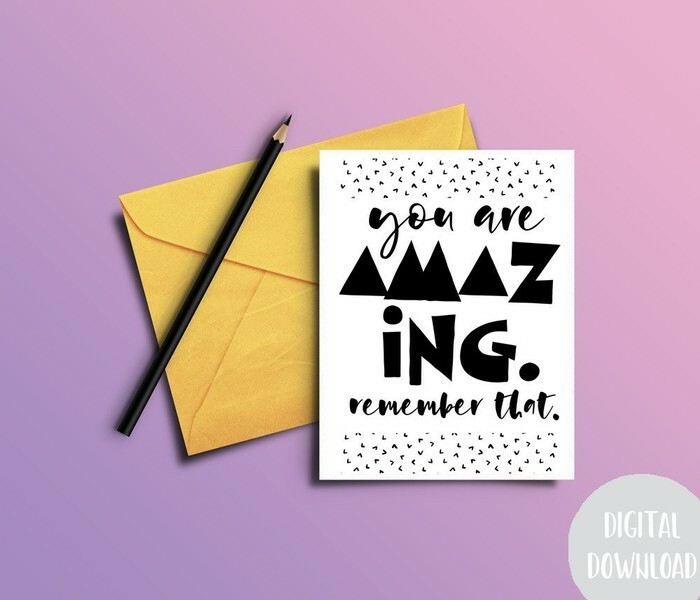 Simply purchase, download digital file, print, trim to size, fold in half and you have a gorgeous card ready for writing your own message. Print this design over and over again! 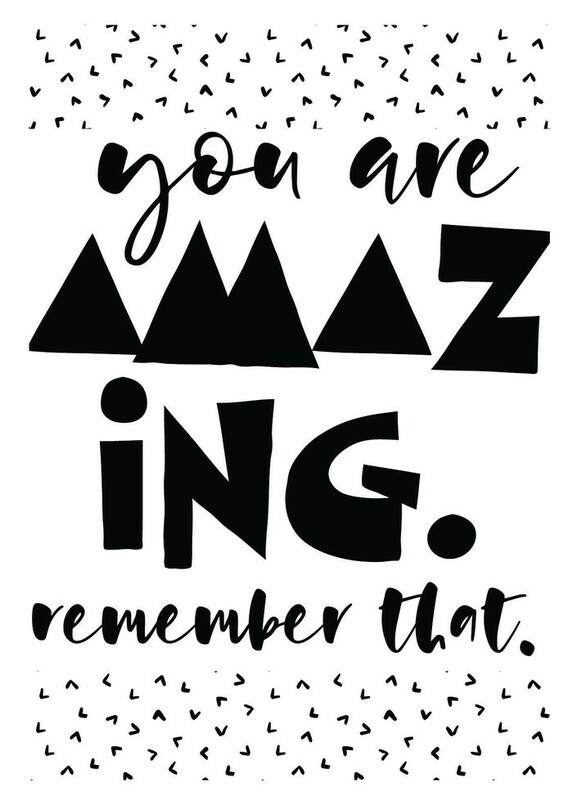 Please note that this You Are Amazing Card is a DIGITAL file which must be downloaded and printed. NO PHYSICAL item will be shipped to you. This file can be printed at home, at your local print shop or using an online printing service. The card is high resolution 300 dots per inch (dpi) and available in both PDF and JPEG formats. The card is A6 in size - 105mm x 148mm - and is to be printed on A4 (210mm x 297mm) size paper. Once trimmed and folded, the card will fit in a C6 size envelope (114mm x 162mm). 4. 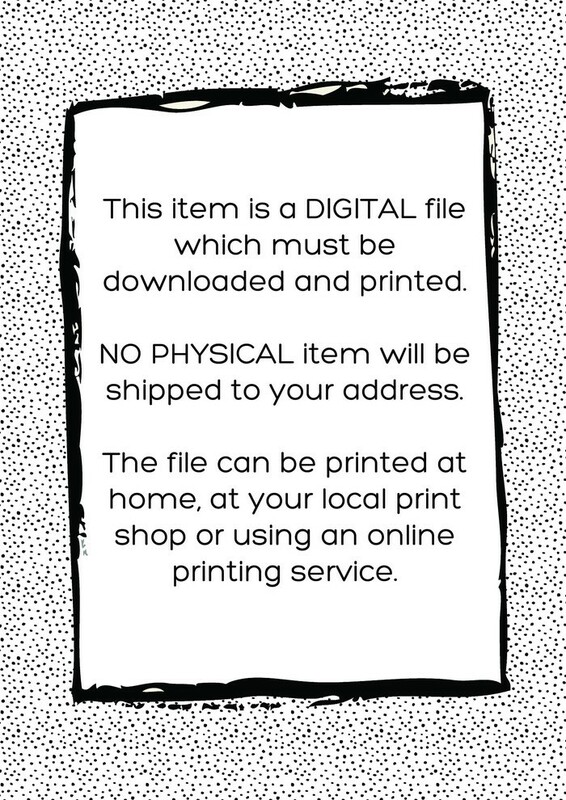 Print at home, use an online printing service or save to a portable USB flash drive and take to your local print shop. 5. 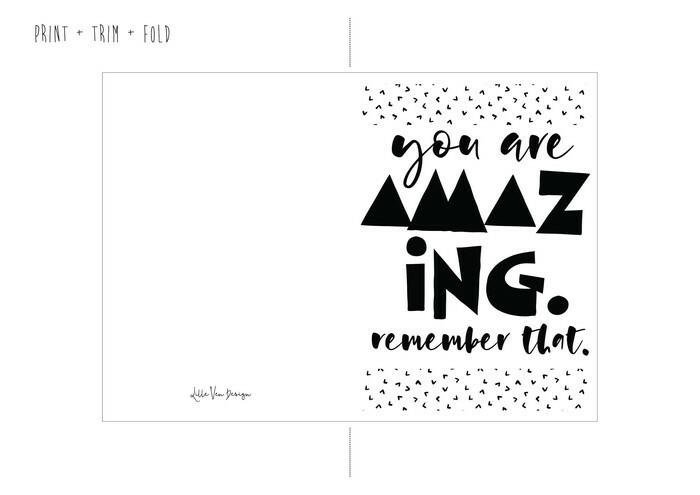 Trim along the black line, fold in half and your card is ready for writing your own message. For best print outcomes, I recommend using minimum thickness of 300gsm paper. Please make sure to print files at “actual size” NOT fit to page. Please be aware that colours on your printed product may vary slightly from those of the digital file due to factors such as computer monitor colour balance and printer settings. You may not reproduce, resell or use these files for commercial projects. As all of my listings are download digital products, no refunds will be made. Should you have any difficulties accessing your download files however, I will be happy to assist. Please note that this card is a DIGITAL file which must be downloaded and printed.